When the kids are printing reports for school, you're making flyers for work or it's time to print out those family photos, quality ink is required to achieve the results you need. 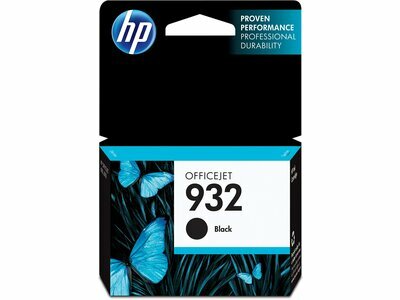 Equip your printer with HP 933XL ink for vibrant prints every time. For professional-quality color documents and sharp text. Yields up to 400 pages. Delivers lower color cost than laser cartridges. Individual ink cartridge offers great value. Highlight black text on printed documents without worrying about smears—great for projects and everyday prints. 1 Based on HP internal testing, using paper with the ColorLok® logo. 2 Availability of rewards varies by country. For more information, see http://www.hp.com/go/learnaboutsupplies. 3 Based on paper-industry predictions for acid-free papers and Original HP inks; colorant stability data at room temperature based on similar systems tested per ISO 11798 and ISO 18909. 4 Tested in HP Officejet 6700 Premium e-All-in-One. Approximate average based on ISO/IEC 24711 or HP testing methodology and continuous printing. Actual yield varies considerably based on content of printed pages and other factors. For details see http://www.hp.com/go/learnaboutsupplies.